Teaching newly made Masons "The Work"
My favorite part after the first degree is when the newly made Brother is given their cipher. In my jurisdiction, it's a little blue book that accounts for the experience of becoming an Entered Apprentice. Typically, it takes a new Brother a few months to learn how to read it, master the catechism, and commit it to memory. Newly-made Masons in New York state are required to display proficiency in Lodge to advance to the Fellowcraft degree. No matter how much they are prepared to do "The Work" of learning our ritual, I smile when a newly made Brother opens his cipher book for the first time, stares at the jumble before him, then looks up with a look of complete confusion and bewilderment. "How am I supposed to learn this when I can't even read it? ", they ask. "You're not," they are told. And so the schedule of Masonic Education begins. In my mother Lodge, that meant meeting with the other Brothers from my class (there were 7 of us) at the office of our instructor on Monday nights after dinner. Each of us took a turn in reading a paragraph, passage, or page under his attentive ear until we worked up to the point when we no longer read from the pages, but instead, looked across the table, able to recite portions from memory. One by one, we stood up after a few weeks or months of work and were able to say it all. I still remember the cold sweat in the middle of my back the night I was tested. That was my experience. For the new Masons I work with now, these sessions happen before or after our Lodge meeting, in the study room of our temple, or on the phone on a weeknight where we both have an hour or so free to connect. This is their experience. How we meet is not relevant; it's the flow of the lesson that is important. 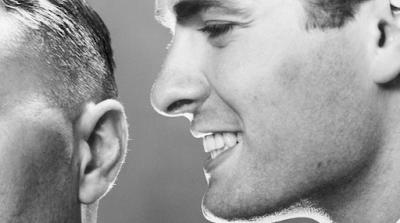 The back and forth, learning through the ancient practice of mouth to ear. The student with their cipher book in hand, the master prompting from memory, helping them form the words and learn the meanings. In January of this year, I began my graduate studies program in Learning and Teaching with Emerging Technologies. One thing that has always fascinated me as an adult learner is how things we do every day have a real name (some of which I will share in a few moments), and how quickly new knowledge can be implemented in our life. Part of my master's degree work is focused on how to use new technology in teaching; the other half is on learning. What I have discovered are three methods in teaching Masonic Education to new members. Cognitive Apprenticeship is a theory that implies we learn from one another, through observation, imitation, and modeling. It would be best explained in the traditional sense of the teacher writing a math problem on a chalkboard along with the steps to solving the equation. The student would then come up and solve a similar problem using the same method. This is how most of learned that 2 + 2 equals 4. Chances are you learned your multiplication tables this way, memorizing that 6 x 6 is 36, not understanding the operation performed by a pair of numbers to derive a third number, called a product. We learned our 6's (6x1 through 6x10) to advance to 7's on the multiplication table. Memorization isn't wrong; the problem is it doesn't allow for Mastery of a subject. In his TedTalk on self-paced learning, Salman Khan described the difference in memorization and mastery. As he said, "The first time that you are trying to get your brain around a concept is when another human being asks, 'do you understand this?'" Memorization creates a barrier in the student's advancement. A traditional lesson plan is a routine of homework, lecture, homework, lecture, snapshot exam. Whether the student passes or fails, the class moves on the next concept. Good students start failing, despite the teacher or their ability. Mastery is taking the time to "teach" the student the subject, its theory and principle - where the student is motivated by his ability to master a concept instead of getting a better test score. Think about the difference between a Brother you have heard who has memorized ritual versus a Brother who has mastered his role. There is a massive difference in their confidence, ability to articulate and convey the lesson's point. Masters become good teachers who teach great students. I was surprised when I heard Itzhak Perlman as a guest on one of my favorite podcasts, "Here's the Thing" hosted by Alec Baldwin. I say surprised because Alec usually invites an eclectic lineup of guests on his program to discuss everything from art and culture, to public policy, to business. The last person I expected to hear on the stage was the world's greatest violinist. Of course, Itzhak shared how his love of the sound of the violin on the radio led to his amazing career as a performer. In the story, Alec focused on his "discovery" which is when Itzhak revealed the great secret of a good teacher is "not only what to say but knowing what not to say." Their exchange was brilliant. Alec started by asking him, after being labeled a musical genius at the age of 9, how he now teaches young prodigies. "Everyone has their own schedule of development," Alec began. "But how do you work with those that have that great gift, that naturalness?" "You leave them alone," Itzhak answered without thinking. "You leave them alone! You don't want to hurt them. Let the talent develop. Usually, things get better as you grow older. When a teacher has such incredible talent in front of them, they want to give you their all, and they become too picky. Leave them alone! There are certain things you cannot teach." Itzhak's words were cemented in my mind the day after we made a new Brother at my lodge. This Brother was unique, in that, while I was doing my role in the Q&A's for his degree, I would have sworn that I saw him staring at the floor the entire time. Now, we've all been in that spot during a degree, especially the first, when you have been exposed to so much, that your brain is full. You have more questions in your mind then space to fill it. When he was handed his "little blue book" after his degree that night, he immediately started asking me pointed questions about his experience. And these questions were beyond the typical decoration of the Lodge room. He was able that evening to not only retrace his steps - but recall the exact words that were spoken to him, along with some of my part. I was floored! I asked him how he knew this. His answer, "I was memorizing what you were saying as you said it. Isn't that what I was told to do?" When we work on his ritual proficiency over the phone, this Brother and I spend about an hour going over the lines and an additional hour of me answering his pointed questions. I thought of Itzhak when this Brother asked, "what books can I read now?" To others, I would have told them to focus on the cipher. For him, I wanted to say, "all of them." Instead, I reminded him of what the Master told him about The Bible during the degree. Now he is texting Bible passages for the group chat to discuss. Of all of the learning principles I have been exposed to, this is one that has a dual meaning - making it somewhat Masonic. Scaffolding the process of supporting students in their learning. Just as construction work requires a raised support system for men to work, the same applies to how we learn. The goal of the teacher is to have more of a mentor/facilitator role rather than the traditional professor of ideas. Students share the responsibility of learning, taking ownership of the success of the class. Scaffolds can be small groups where individuals demonstrate their mastery of an area to other students - speaking to them in their language - fostering peer teaching and learning. For material that is difficult or abstract, scaffolding can help bring support through group learning to understand complex ideas. This method also allows the instructor to break the class into groups, which are smaller more manageable teams rather than trying to teach to the whole class. Masonically, we can adopt this practice in our ritual practices. One of my Brothers suggested the idea a few years ago of organizing our degree rehearsals like a theatre production: principles, backups, secondary performers, ensemble and then we all meet for a full cast run through. Not only would this allow for time to focus on the individual roles, in small groups off to the side, but as the cast is slowly integrated into the full production, each participant would learn the flow of the ritual instead of just sitting in their spot, waiting for their time to speak. I often wonder of the Freemasons of years gone by, back when we still rode horses or walked to get from place to place. How in that time when the printing press was in its infancy and most Americans didn't know how to read, "mouth to ear" learning was to learn. Now I can be on the phone in my living room, talking for an hour with a new Brother who is driving home from work. What's interesting is that while the times and technology have changed over the centuries, "mouth to ear" is still the most valuable and rewarding form of learning. There isn't a video series (yet) to teach our new Brothers this important Masonic Education. Knowledge is still passed from the master who speaks, to his apprentice who listens. As the old saying goes, "The word 'listen' contains the same letters as the word 'silent.'" Wow, couldn't love this more. I am interested in what you call a cipher book, we don't have that in Australia, (Blue lodge). Is it similar to the "Masonic cipher" or as in the "pig pen" app on play store??? ?